When preparing for one of your company’s operations, do you focus on communication strategies between work crew members? By your company not prioritizing communication, you are not only risking the safety of your employees but also risking the success of the project. If you are looking to increase positive and effective communication in your work zones, Royal’s radio headsets represent an entry point to making your operations safer and more successful. Before we discuss the benefits of adding Royal’s radio headsets to your company’s operations, we must determine what is effective communication. In very simplistic terms, effective communication on a job site requires clear channels of communication between all members of the team. For the communication to be deemed to be effective, it not only needs to be clear enough for everyone to understand but also timely enough to be relevant. 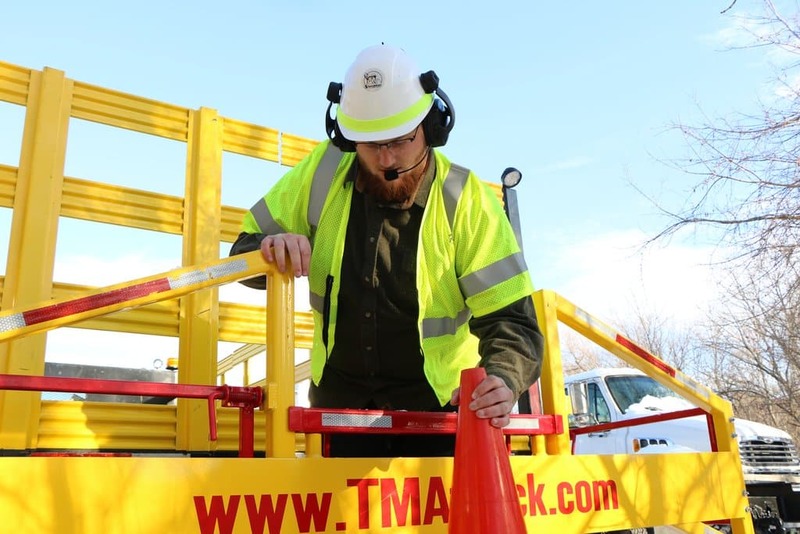 For each of these functions, effective communication skills are vital to maintaining productivity and safety at your job sites. Without good communication skills, your projects are more likely to fail and your workers are less safe. When looking to improve communication in your work zones with Royal’s radio headsets, there are 5 numbers you need to know! How important do you believe effective communication is to the success of a project? If you are overlooking the importance of communication in your operations, you are ultimately risking the success or failure of your projects. This is because according to the Project Management Institute’s 2013 report entitled, “The High Cost of Low Performance: The Essential Role of Communications” , “one out of five projects is unsuccessful due to ineffective communications.” As you can see, not only is effective communication a good practice, but it is also vital to whether your operations are a success or not. In addition, projects utilizing “highly-effective communicators” are significantly more likely to meet the project’s original goals, to be on time, and under budget. Why should you risk the success of your organization’s operations when you can simply improve communications in your work zones? With Royal’s radio headsets, you can connect up to 4 individuals together allowing them to communicate hands-free. This gives your company flexibility in how it wants to use and pair the headsets. Specifically, it is just as easy to pair all 4 headsets together for a large operation as it is to pair them as two sets of two headsets, best for team-oriented tasks. Additionally, unlike many other systems currently in use, Royal headsets allow for continuous talk with no cutting out. This means that as someone talks, you hear it. Team members are no longer restricted to waiting their turn to speak. If there is important information that needs to be conveyed. It can be done immediately, allowing for timely and effective communication. The next consideration you need to be aware of is the range of the headsets. With Royal’s radio headsets, when 4 headsets are in use and paired together, individuals can clearly communicate in distances up to 1600 yards line of sight. 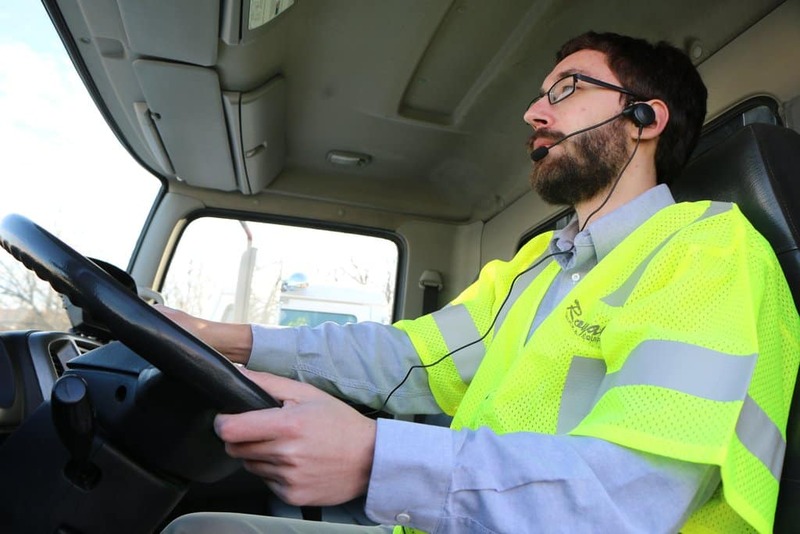 Royal’s headsets easily have the range to support communication between the driver of the truck and the individual in the man basket setting or removing cones during a lane closure operation. While this number does shrink to approximately 550 yards when only 2 devices are paired together, most operations fall well within that distance. For example, these headsets are frequently used in lane closure operations with the driver of the traffic control truck communicating to the individual on the back of the truck laying the cones. Royal’s radio headsets combat hearing loss by engineering the headsets to protect the wearer from the noises their operations necessitate, such as that of chain saws, wood chippers, and truck engines. In fact, Royal’s over-the-ear earmuff headsets have a 28 NRR, or Noise Reduction Rating. This means that the outside noise will be reduced by 28 decibels when entering your ear. The last numbers you need to know about the Royal headsets are in regards to battery life. By itself the Royal’s headsets’ battery life can last from about 6.5 hours of continuous use all the way up to 10 full hours. Want to see the headsets in action? Watch them in a simulated work zone in the video above! While this may be sufficient for some, the headsets’ battery lives can be improved significantly by attaching a portable battery pack to the set. This will keep the set charged all the way throughout your operations, without the fear of them becoming dead mid-way through. If you are looking to increase effective communication in your company’s operations, whether that be in a highway work zone or a forestry operation, Royal’s radio headsets represent an incredibly effective solution to promote communication. Because of how vital good communication is to the success of your projects, communication simply cannot be overlooked.